Awarded “REALTOR Of The Year for 2017” by the Bitterroot Valley Board of Realtors, Kerry is a real estate broker having served the Bitterroot Valley for over three decades! A top producer, Kerry will put her intimate knowledge of the Valley to work for you! Kerry is a proud graduate of the University of Montana with a degree in Education. GO GRIZ! Having been a revered educator for 26 years, Kerry was a repeat recipient of “Bitterroot’s Best Teacher.” Retiring from the Hamilton School District in 2014, she now dedicates her full time efforts to serving her cherished real estate clients. Kerry is committed to giving back to her community! She works tirelessly during the Christmas season on her Bitterroot Adopt-A-Family charity, as well as having served multiple years on the Bitterroot Valley Board of Realtors board, including as 2018 BVBoR President. Other volunteer areas include the Bitterroot Chapter of Grizzly Scholarship Association, Marcus Daly Memorial Hospital Foundation, Faith Lutheran Church, Hamilton High School Booster Club, Hamilton Families for Education, as well as numerous additional youth and service organizations. Kerry and her husband Troy have two high school sons, Tristan and Tanner. In her leisure time, you will find her following them around the state and country as they compete in golf and basketball tournaments! Whether buying, selling, or investing, Kerry pledges to give “Tailored and Trusted Service” that will exceed her valued clients’ expectations! 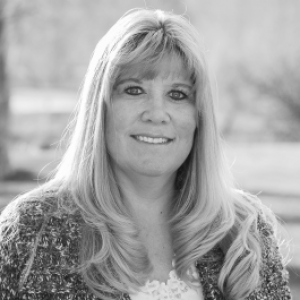 Her Affiliations include National Association of REALTORS ®, Montana Association of REALTORS®, Bitterroot Valley Board of REALTORS® and Bitterroot Valley Multiple Listing Service (MLS), as well as the Montana Regional MLS.